Ask for these plumbing items for the holidays! The holidays are coming up, and while most people will be wishing for things like gadgets, jewelry, and their lovers to come back home, our plumbers will be wishing for something a little less traditional. Home plumbing is essential, and without it we’d quite literally be taking to the outdoors to do our business, which seems less than desirable. 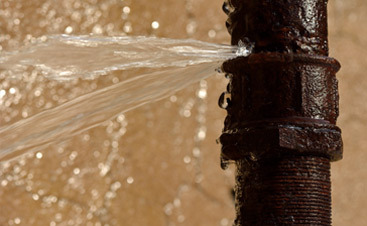 Luckily, we don’t have to do this at all and even better, the plumbing systems that we do have are rather sophisticated! Just think, about a hundred years ago, the infrastructure looked nothing like it does today! Plumbing is cool, and can make for a great gift from the big guy in red. 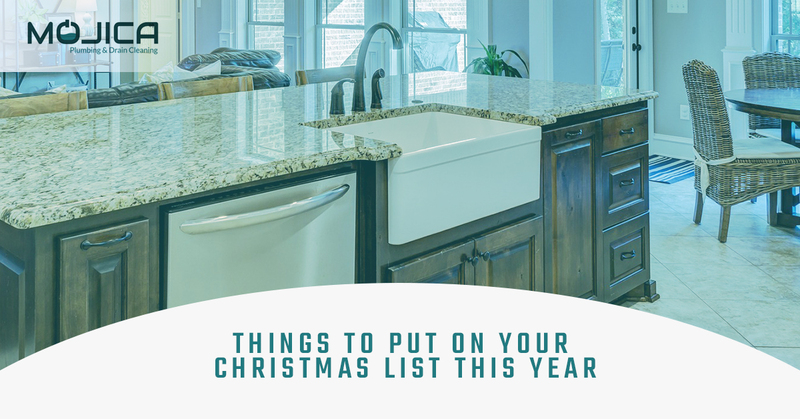 These are some things that our plumbers in Austin have on their Christmas lists and that you should too! Now, if you’re a vegetarian or something, then you can probably go with a $3 plunger from the store, but if you have a bit more of a hearty diet, then it’s time to ask for a power plunger. Standard plungers just don’t do it for you when your toilet fails you, and a power plunger will stand by your side on even the worst days. These jacked up plungers use water power to flush down whatever is stuck in the drain, clearing up your toilet in a heartbeat. Unfortunately, you’ll have to schedule in an arm workout to replace what was once there. We hope you put this on your list this year! Why not treat yourself to a European delicacy? And no, we don’t mean gelato. A bidet, which is common in Europe, uses a spout of water coming from the basin of it to clean your tush. You can either install a separate one beside your toilet or a mechanism directly into your toilet—but don’t worry, it uses sanitary water. Okay, maybe our plumbers aren’t really wishing for this, and it sounds like a disaster waiting to happen. If it’s on your Christmas list, though, then we’d be happy to help you install it. Austin or Amsterdam? Nobody will be able to tell the difference. Turn your normally boring shower into a rave in the rainforest with an LED rainfall shower head. The shower head has built in LED lights that illuminate your shower in pretty, bright colors. Depending on your preferences, you can install one with a variety of colors and patterns and can even have one that blinks. For the total experience, also make sure to blast some dance music. We personally recommend some Major Lazer, but if you’re feeling more trancy, give Kaskade a shot. It’s time to get rid of that basin sink in your kitchen and replace it with a brand new and pretty farmhouse sink. Farmhouse sinks are not only aesthetically pleasant, but they’re also much more convenient. They can hold a lot more water and dishes, making cleanup after dinner easier. Depending on your preferences and the color scheme in your kitchen, you can go with a variety of different styles. Want a white one to match your floral wallpaper? How about a silver one to go with your contemporary countertops? It cleans up the place a lot and is just a whole heck of a lot better. If you don’t have Bio-Clean in your drains, then get with the picture! Bio-Clean is a safe and environmentally friendly chemical that will keep your drains clean and free from clogs. Seriously, what’s grosser than a clogged sink drain? Nothing. 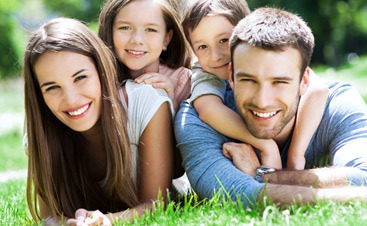 Bio-Clean is like magic to us, and we recommend it to all of our clients. It lines the insides of your drains and, by use of naturally occurring bacteria and enzymes, breaks down organic material that would normally get stuck. Did we mention it’s safe? If your grandma asks you what you want for Christmas this year, tell her you want Bio-Clean! So maybe we’re not investing in a bidet this season, but we’re sure as heck looking towards a touchless flush kit. Flushing is one of the most unsanitary parts of using the bathroom, and a touchless flush kit removes touching the germ-ridden handle from the equation. Sometimes, people will even pimp out their toilet even further when they have a flush kit installed, like LED lights or a sanitizer. Toilets no longer have to be boring, so be sure to write a touchless flush kit on your holiday list before sending it off to the North Pole. Happy holidays from your favorite plumbers in Austin. If you happen to receive any of these great gifts this holiday season and need help with an installation or maintenance, don’t hesitate to give us a call. 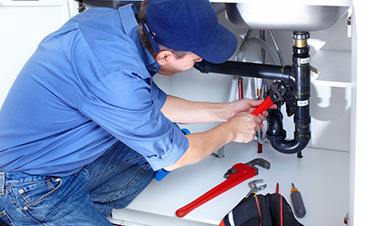 We’d be more than happy to help you with any of your plumbing needs. Contact Mojica Plumbing & Drain Cleaning today!